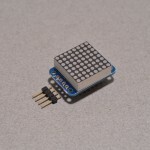 This small white LED is not too bright, and ideal for prototyping and experimenting on a breadboard. 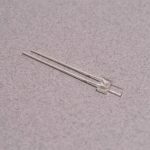 The LED is a 3mm / T1 and has a transparent finish. SKU: LED-041. Category: 3mm LED. 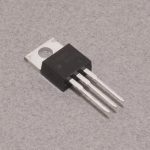 Tags: Component, LED, Light Packet.